Looking for Indoor Pools in Ohio? Countless of them belong to gyms or sport centers which also present lessons. We currently have the following Swimming Pools, but we are always grateful for any corrections or contributions. Get in touch via our contact type. Water sports are increasing specially in elderly population sectors who have suffered some type of muscle or bone damage. Not all countries would be the identical, and swimming regulations and rules are changing from one country to a further. These are the Indoor Pools in Ohio other users have reported. Are you a local and your pool is just not listed? Contact us to ADD IT. It's absolutely free! Swimming is a sport for all ages. It assists young people to tone their muscles and grow wholesome and powerful. Swimming is usually a excellent idea to keep your body active during your visit to Cleveland (Ohio), or even for anyone who is a local. Swimia helps you to find your closest Pool in Cleveland. Without a shadow of a doubt, swimming in Toledo is the very best solution to unwind after work. 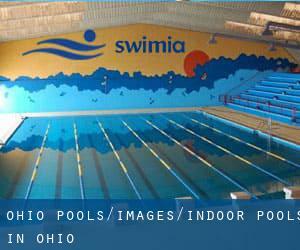 Take a couple of minutes to browse Swimia's catalog to find a Swimming Pool in Toledo. It's difficult to visit Ohio devoid of dropping by Columbus (with 787.033 residents). Currently Swimia is showing you all of the Swimming Pool in Columbus and the closest pools located in its vicinity. Holding an estimated population of 296.943, Cincinnati is one of the most important cities in Ohio. Check all of the Swimming Pool in Cincinnati and its surrounding region. Updated on 2019 560 Grange Hall Rd. , Beavercreek , OH , USA (Postal Code: 45430). Among all of the activities offered by the center, if you are thinking about swimming you can enjoy 25 yards x 25 meters, 8 x 6 lanes, Indoors. If it is advisable to contact this Pool, e-mail address and phone number are both number. Updated on 2019 10 Rockridge Rd. , Englewood , OH , USA (Postal Code: 45322). Among all the activities offered by the center, if you are interested in swimming you will delight in 50 feet x 26 feet, Indoors. Just in case you want to get in touch with this Swimming Pool before dropping by, we only know the phone number. Updated on 2019 1255 Columbia Rd. , Westlake , OH , USA (Postal Code: 44145). Swimmers like you reported 25 yards, 4 lanes, Indoors. Unfortunately we do not have the e-mail address of this Swimming Pool, but we can give you the phone number. Updated on 2019 888 E. Dublin Granville Rd. , Columbus , OH , USA (Postal Code: 43229). This sports center gives 25 yards, Indoors. For this Swimming Pool, only phone number is number here. Updated on 2019 4191 Glenmoor Road N.W. , Canton , OH , USA (Postal Code: 44718). Among all the activities offered by the center, if you are interested in swimming you will take pleasure in 25 meters, 5 lanes, Indoor/Outdoor. Just in case you want to contact this Pool prior to dropping by, we only know the phone number. Updated on 2019 1494 E. Aurora Road , Macedonia , OH , USA (Postal Code: 44056). This sports center delivers 25 yards, 6 lanes, Indoors. For this Pool, only phone number is number here. Updated on 2019 11300 Miles Ave. , Cleveland , OH , USA (Postal Code: 44105). This sports center offers 20 yards, Indoors. For this Swimming Pool, only phone number is number here. Updated on 2019 101 Putnam Parkway , Ottawa , OH , USA (Postal Code: 45875). Swimmers like you reported 25 yards, 6 lanes, 3.5 feet - 9 feet depth, Indoors. Unfortunately we do not have the email address of this Swimming Pool, but we can provide you with the phone number. Updated on 2019 1715 Harrison Ave. N.W. , Canton , OH , USA (Postal Code: 44708). Among all the activities offered by the center, when you are enthusiastic about swimming you will enjoy Olympic size x 25 yards, 8 x 8 lanes, Indoors. Just in case you need to contact this Swimming Pool before dropping by, we only know the phone number. Updated on 2019 4300 Cherry Bottom Rd. , Gahanna , OH , USA (Postal Code: 43230). Swimmers like you reported 25 yards, 6 lanes, Indoors. Updated on 2019 U.S. 22 East , Cambridge , OH , USA (Postal Code: 43725). This sports center offers 20 yards x 30 feet, Indoors. For this Swimming Pool, only phone number is number here. Updated on 2019 East Woods School , 120 North Hayden Parkway , Hudson , OH , USA (Postal Code: 44236). This sports center delivers 25 meters, 6 lanes, Indoors. For this Swimming Pool, only phone number is number here. Updated on 2019 1111 Lakeside Ave. , Cleveland , OH , USA (Postal Code: 44114). Among all the activities offered by the center, if you're interested in swimming you will take pleasure in 50 feet, Indoors. Just in case you wish to contact this Pool before dropping by, we only know the phone number. Updated on 2019 1380 E. 32nd St. , Cleveland , OH , USA (Postal Code: 44114). Swimmers like you reported 25 yards x 45 feet, Indoors. Unfortunately we do not have the e-mail address of this Pool, but we can give you the phone number. Updated on 2019 1989 Front St. , Cuyahoga Falls , OH , USA (Postal Code: 44221). This sports center offers 50 feet, Indoors. For this Pool, only phone number is number here.